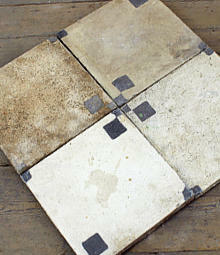 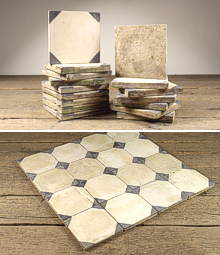 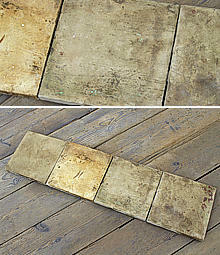 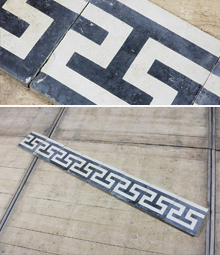 Reclaimed antique encaustic and patterned cement floor tiles- English Salvage Ltd. 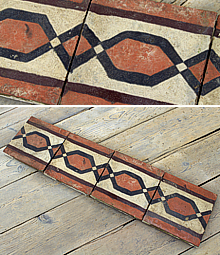 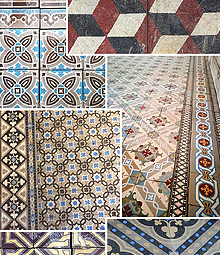 The encaustic cement tiles that we stock originate from the late 19th to early 20th century. 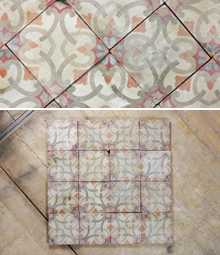 Encaustic Cement tiles or Carreaux de ciments' as they are known in France were a variation on the medieval encaustic tile, which were made from clay. 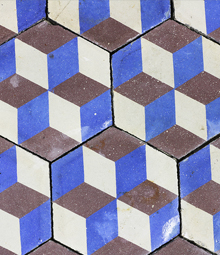 With cement tiles, different coloured clays are poured into a mould with a pattern, the tile is then left to cure. 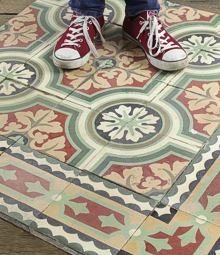 The technique was first invented in 1890s, and was very popular in the first part of the 20th Century, especially in France, Belgium, Holland and Spain. 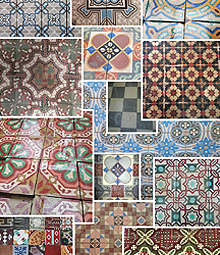 There is a huge variation in patterns that can be found, often the tiles make up a pattern in sets of four. 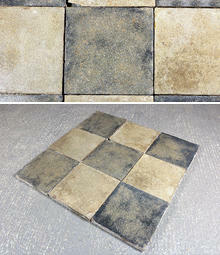 Because the coloured cement layers is some 4mm thick, these types of tile have great durability. 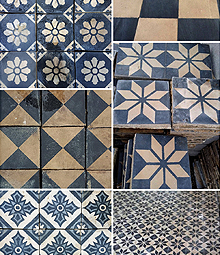 Patterns can be quite ornate with a number of different colours on one tile, or can be very simple, including tiles that are all black or all white. 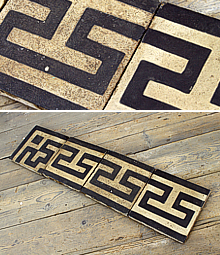 One of the most popular styles is the 3D effect cubes. 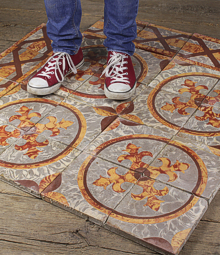 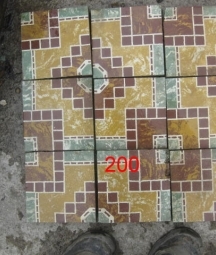 These antique cement tiles are usually 20cm square, so there are 25 tiles to a square metre.